I had some Rosemary left over from our garden and……hello, Rosemary Oil! Such a great addition to cooking or to use as a dipping sauce. The oil can be infused cold or warm, but I feel that when you warm the oil, it takes on the flavor of the herbs quicker. 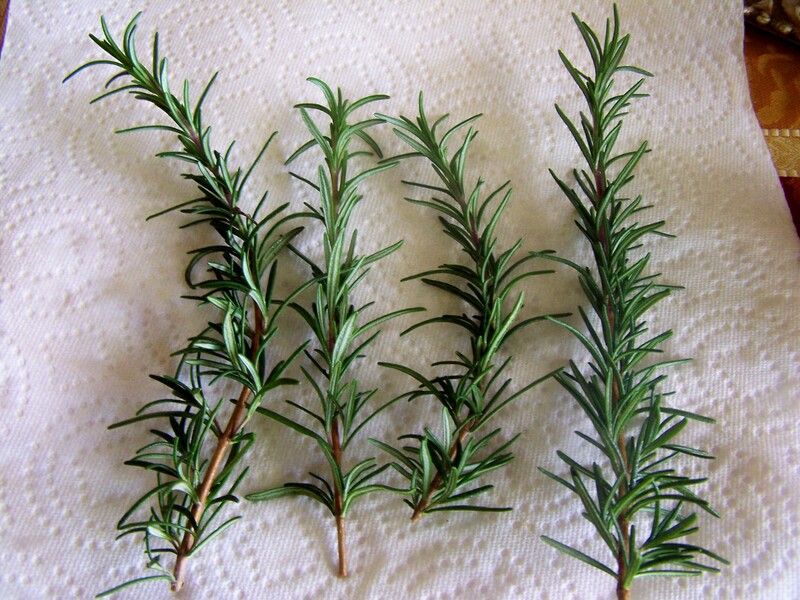 Wash the rosemary sprigs and dry them really well; there should not be any water on the rosemary sprigs (this is very important as you don’t want botulism). Pour olive oil into a sauce pan and heat it over a low flame until it is just warm, for only 1-2 minutes. 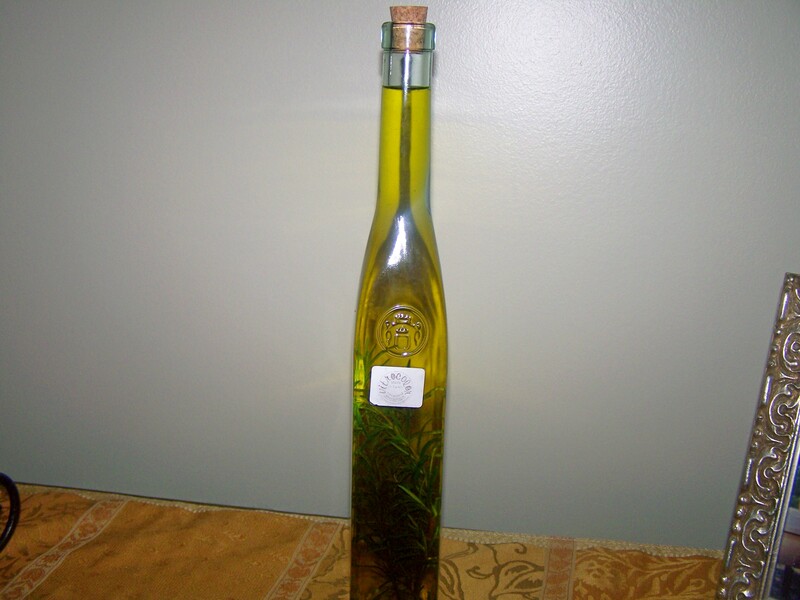 (If you do not want to heat the oil, just pour into the bottle). 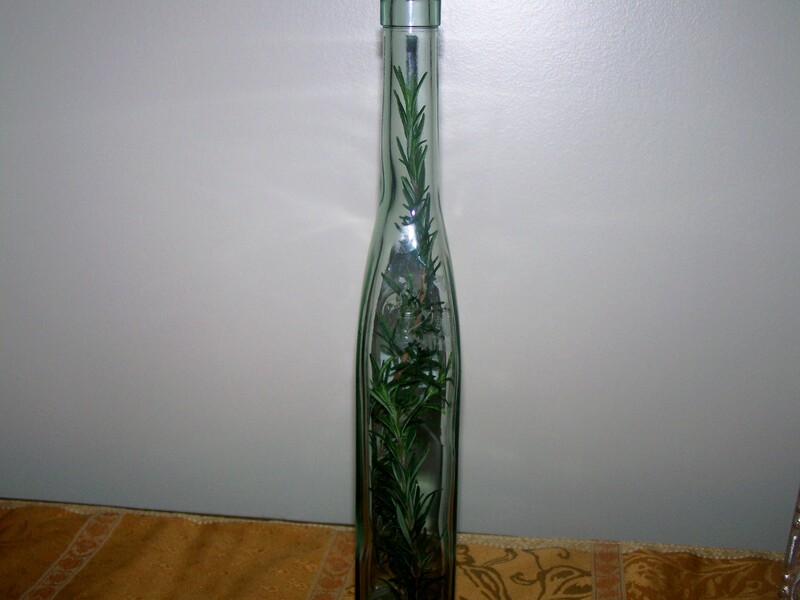 Take a clean dry bottle and place the rosemary sprigs. Pour oil into bottle and let it cool for a bit before sealing with a cork or lid. 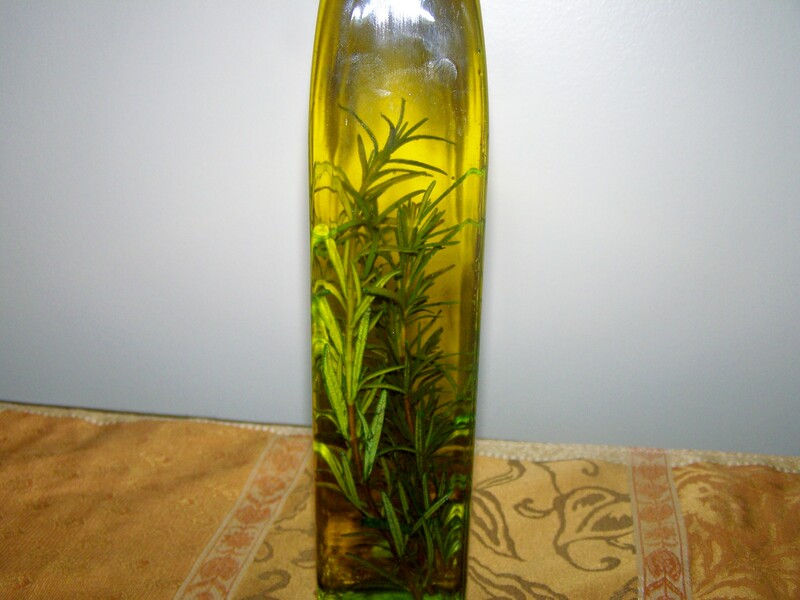 Set the bottle aside in a cool, dry place where there is no direct sunlight for about a week, strain Rosemary. The oil will keep for quite a few months.